Maisto has an update on their progress with their 1/24th scale R35 die cast. 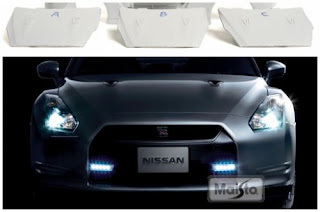 It seems that Nissan didn't like the shape of the hood, so they have resubmitted three different hoods with variations. They are in progress, just having fun bouncing back and forth. Would be nice,when you get a diecast model for free when you buy a new GT-R,both in the same configuration.